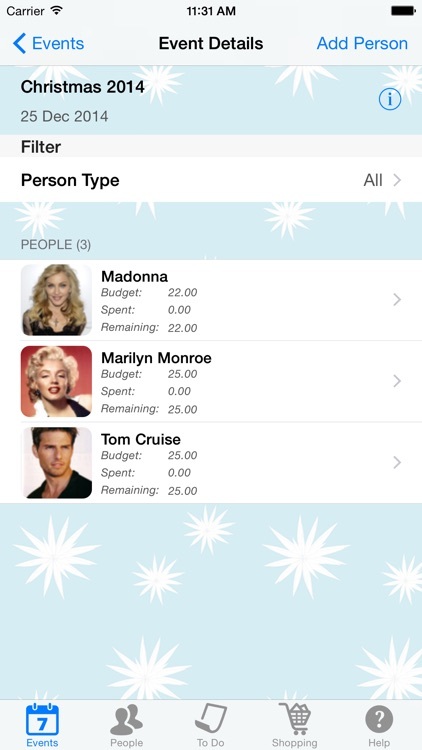 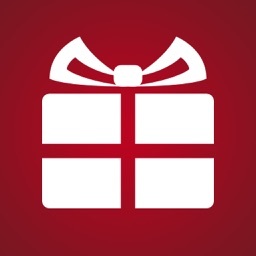 The ultimate gift list app, great for planning gift buying for any event, not just for Christmas. 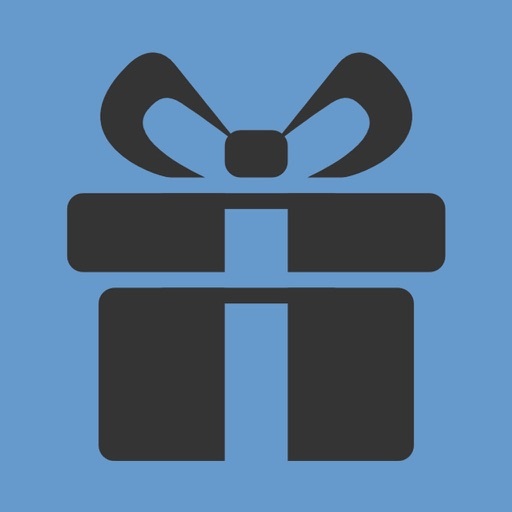 The Gift List app is like no other gift organisation app. 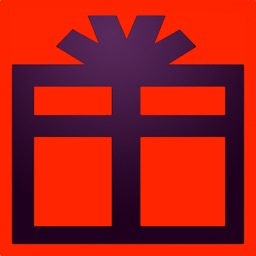 It allows you to store and organise all your yearly gift buying in one place. Gifts can be found and bookmarked online, all within the app, no swapping and changing between the app and the internet. 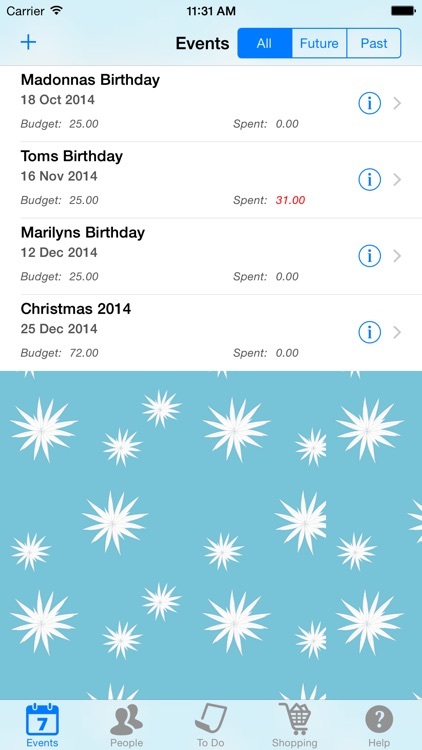 - Shopping lists which can be filtered by shop, so no forgetting to buy something when out and about. 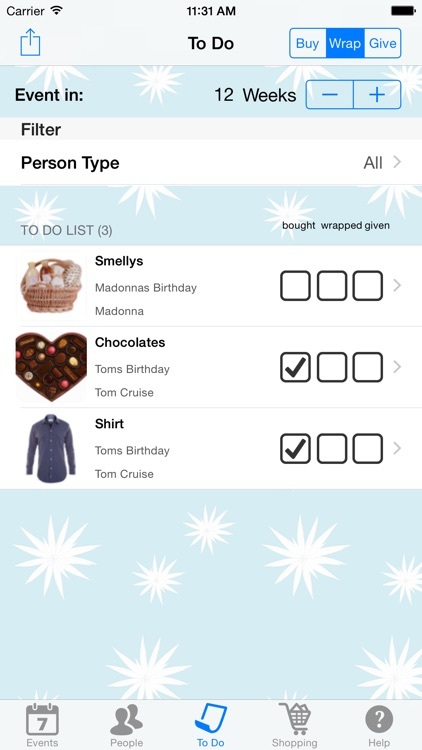 - Ability to share the shopping list by email, text, Facebook or twitter, so you can do the planning and get someone else to do the shopping! 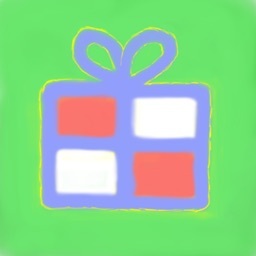 - To Do List which shows at a glance what you have to buy, what you have to wrap and what you have to give! 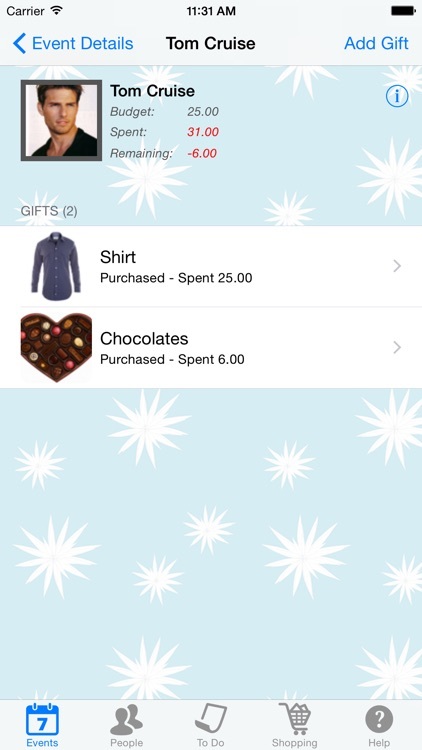 The Gift List app is obviously ideal for buying Christmas presents, but it can be used all year round for birthdays, Easter, graduations etc. 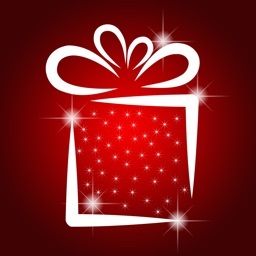 - a gift bucket screen where you can add gifts that you are not sure who they are for yet, so you don't forget about them!